Gaolathe was born in Botswana, a small but very beautiful country in Sothern Africa. He grew up in a small mining town called Selibe Phikwe, where he completed his primary and secondary school education. He then moved to Gaborone, the capital city of Botswana, to pursue a Bachelor of Science degree in agriculture at the Botswana College of Agriculture, an associate institute of the University of Botswana. 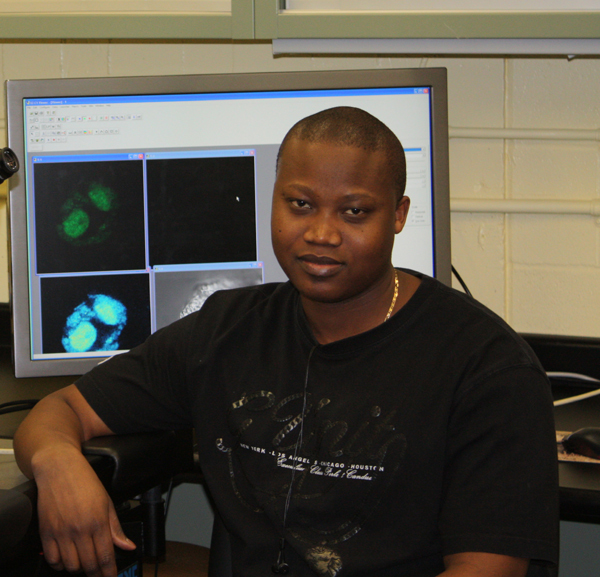 For his honours research he determined the rate of growth and development of different Moringa oleifera provenances in Botswana. The objective of the project was to determine which provenance is most suited to the climatic conditions in Botswana. Upon completion of his undergraduate degree, he was offered a scholarship by the Botswana International University of Science and Technology (BIUST) to pursue a Master of Science degree in Biology. The scholarship landed him in Canada, at Dalhousie University. His masters’ research was in the area of molecular and cell biology. He isolated cDNAs for ethylene receptor, ETR1, as well as ubiquitin, and determined their transcript levels at different stages of perforation formation in Aponogeton madagascariensis. He also constructed a preliminary expressed sequence tag (EST) database for A. madagascariensis window stage leaves. He completed his Master of Science degree and is now doing his PhD still in the beloved PCD lab at Dalhousie University. 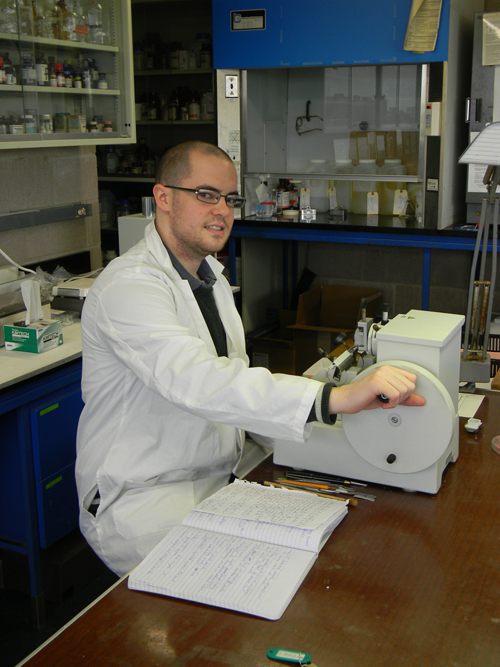 His PhD research is mainly focused on the role of ethylene and ethylene receptors in perforation formation in A.
Hi, I’m Paul and this is my third year in the Gunawardena lab. I met Professor Gunawardena in her introductory botany class. It was there that she encouraged me to apply for a NSERC USRA grant. Upon being awarded the position, I fulfilled the requirements by spending four months fixing and embedding lace plant tissue. The results of this work have since made their way into the scientific literature. 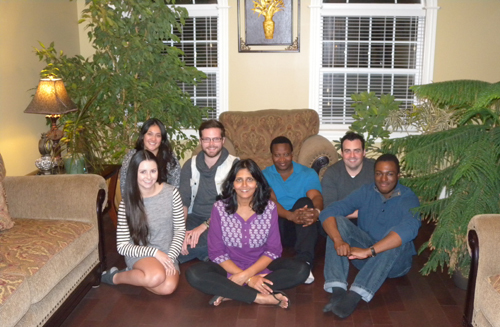 Last year (my second year) was a tremendously successful time for the programmed cell death (PCD) lab. 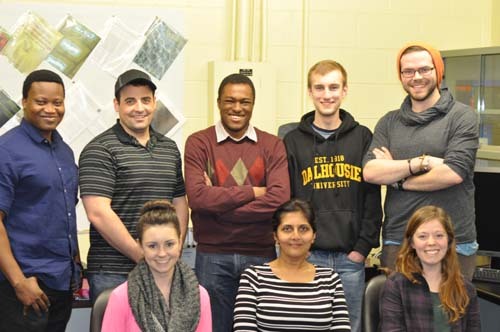 Professor Gunawardena was presented with the top teaching award at Dalhousie and I was awarded the top research grant that an undergraduate student can receive, the Faye Sobey award. Upon being interviewed, for winning the award, I was asked what it means to be the recipient of such a great honour. To me, the Faye Sobey award represents opportunity. The people who have received it in the past have gone on to become Rhode Scholars and leaders in their area of research. 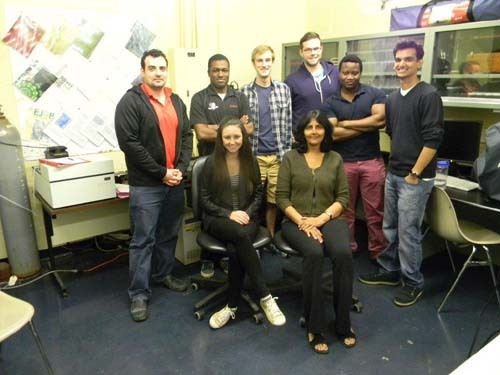 At the end of this year, my third perfect year at Dalhousie, I was awarded another NSERC USRA research grant. I plan on spending this summer investigating antioxidants and their role in PCD in lace plant. This work will lead into my honours project that I am working on in my fourth and final year at Dal. In addition to taking full course loads, each of the past three years, I have also been a contract teacher for the Halifax Regional School Board, where I work one day a week teaching lower elementary students. I have been equally busy in my life outside of the classroom. 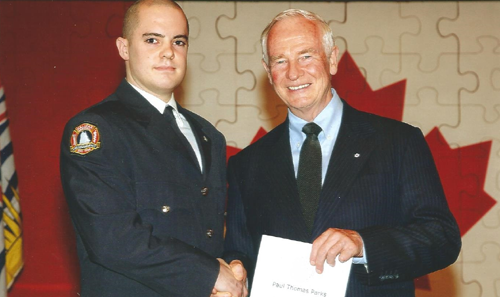 For the past six years I have been an active member of Halifax Regional Fire and Emergency. Being a volunteer member of HRFE has been both challenging and rewarding. My duties have involved driving and operating fire apparatus, responding to medical emergencies, vehicle extrication and fire suppression. Recently, this work has culminated in receiving a commendation by the Right Honourable David Johnston, Governor General and Commander-in-Chief of Canada. I look forward to starting my seventh year in August. This summer is the time for me to resolve what I will do after completing my biology undergraduate degree. I have decided that my fourth year at Dalhousie will be my last year as a school teacher. I have also come to the decision that I will not be applying for the Rhode Scholarship. Finally, I would like to use this forum to thank those people who have recognized me for my academic work at Dal: Dalhousie Scholarship Fund; Golden Key International Honour Society; B’nai B’rith Society; Faye Sobey; Natural Sciences and Engineering Research Council of Canada; Professor Gunawardena; and Dean of Science Chris Moore.